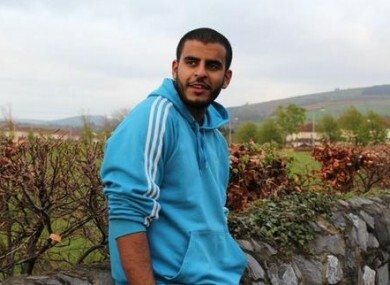 Ibrahim Halawa is in "reasonable spirits in trying circumstances"
TD Pat Breen visited the Wadi Al-Natrun prison in Cairo for a 90 minute meeting with Halawa. JAILED IRISH TEENAGER Ibrahim Halawa has been visited in an Egyptian prison by the chair of the Oireachtas Foreign Affairs Committee. The 19-year-old from Tallaght has been held for some 23 months at various prisons in Cairo over his participation in a demonstration at a mosque at the height of the country’s political instability. Today, Pat Breen visited the Wadi Al-Natrun prison in Cairo for a 90 minute meeting with Halawa. Deputy Breen said that he found Ibrahim in “reasonable spirits”, despite the serious challenges of his detention over the past two years. “I found him a young man in reasonable spirits in what are very trying circumstances. On behalf of the committee, I relayed our ongoing interest in his case and the concerns of his family in relation to his health and well-being and that I would bring these concerns to the relevant authorities. Ibrahim was appreciative of my presence and thanked the committee for its ongoing interest in his case. He has been designated a ‘prisoner of conscience’ by Amnesty International – and the human rights group has warned that he could face the death penalty if convicted. Breen met with the Egyptian Foreign Minister Sameh Shoukry and says he raised concerns over the case with him. Email “Ibrahim Halawa is in "reasonable spirits in trying circumstances"”. Feedback on “Ibrahim Halawa is in "reasonable spirits in trying circumstances"”.